I was so excited to have been selected to take part in the once a year world wide phenomena that is the Picture Polish Blog Fest. I couldn't wait to see what colours the girls at Picture Polish had chosen for my challenge which was to create your most ‘amazing nail art manicure ever’ using the three piCture pOlish shades provided. 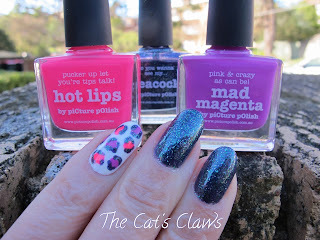 My three shades are piCture pOlish Mad Magenta a light purple cream, piCture pOlish Peacock a green glitter in a purple base and piCture pOlish Hot Lips a bright neon pink pictured above. And they sat on my desk for at least a week whilst I contemplated the enormity of the challenge, before I started playing and planning designs with them. This then generated alot of interest at work when I turned up with a different design on each nail, all of which I then discounted! 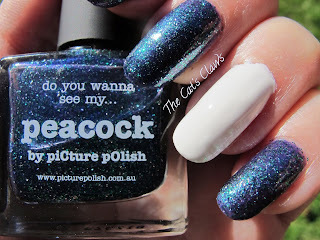 First of all I used piCture pOlish Revolution as my base coat, I then did three coats of Picture Polish Peacock on my index, middle and pinkie fingers and three coats of Sally Hansen White On on my thumb and ring finger. I must admit I then went and did the washing whilst I considered whether I wanted to do a safe design or something I had never tried before! 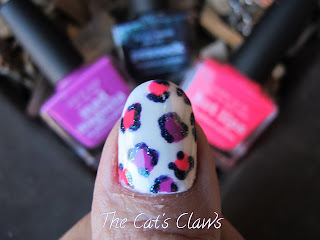 I went with something I have never tried before, after all this is meant to be my most ‘amazing nail art manicure ever’! 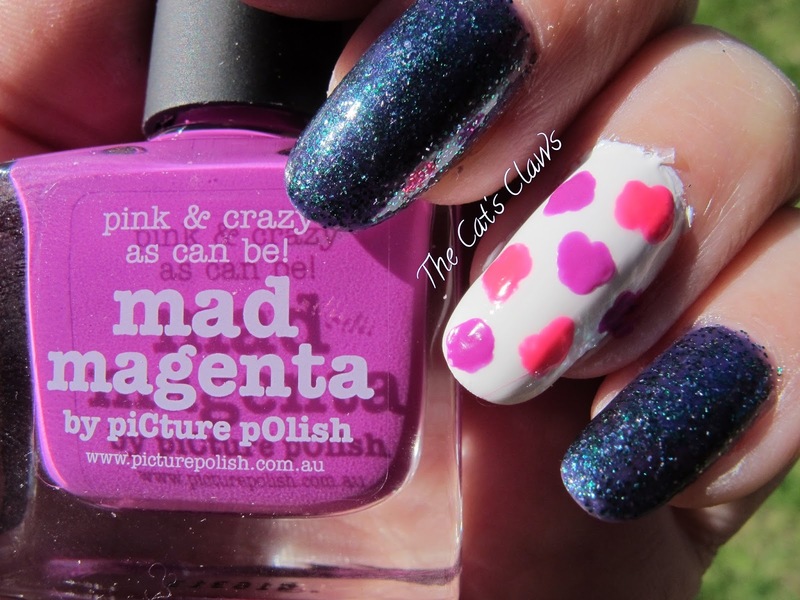 I grabbed a medium double ended dotting tool and put a couple of drops of piCture pOlish Hot Lips and piCture pOlish Mad Magenta onto a small mixing dish. 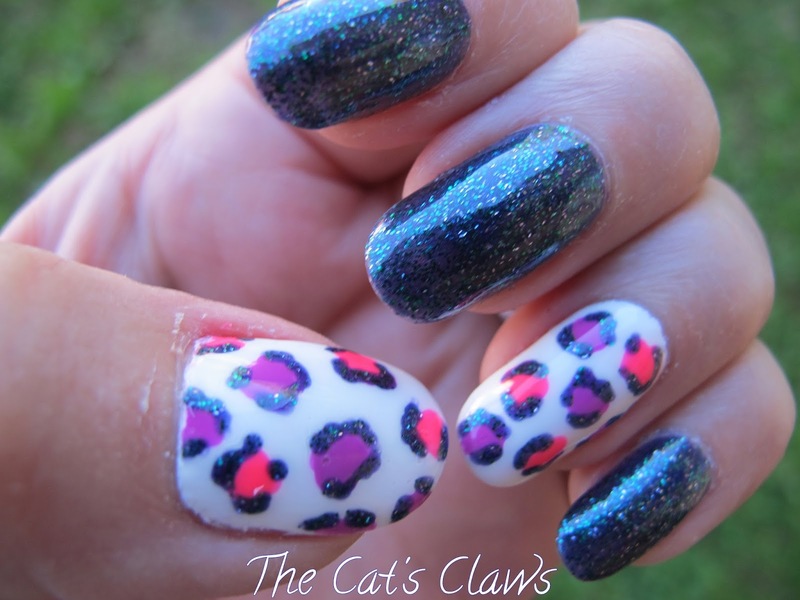 I then alternated between the two colours and just dotted irregular spots onto my nails. 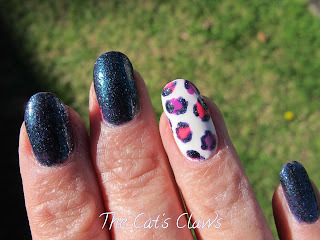 It really doesn't matter what shapes you end up with because we are doing a leopard print! Next I put a couple of drops of piCture pOlish Peacock into a dish and with a very fine dotting tool I just outlined my spots with C's and irregular lines and dot's. I was so proud of my mani that I probably took far too many photos, I then had a horrendous job of choosing the next set of photos which were taken after a clean up and with the addition of a Seche Vite top coat. 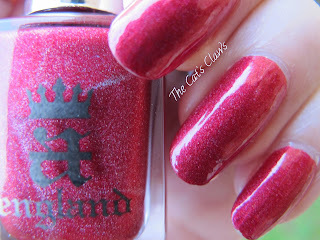 For those that don't know me, I very rarely swatch colours, what you see on my blog are mani's that I wear. 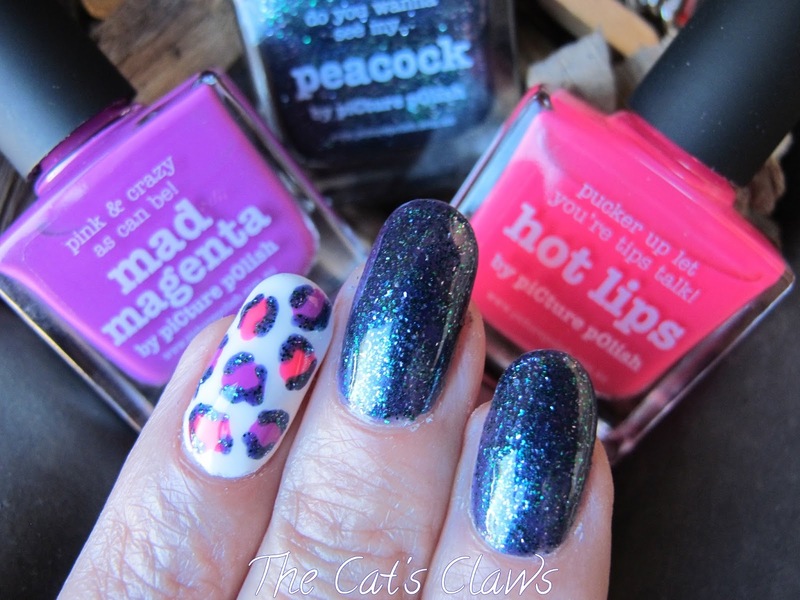 So to prove that this mani is really easy and you can't really go wrong here is my left hand. Girly Bits Emerald City Lights! OK so why all the excitement then? Well when I first started seeing photos on the Internet I knew it was a polish that I absolutely had to own as there doesn't seem to be anything like it at all. 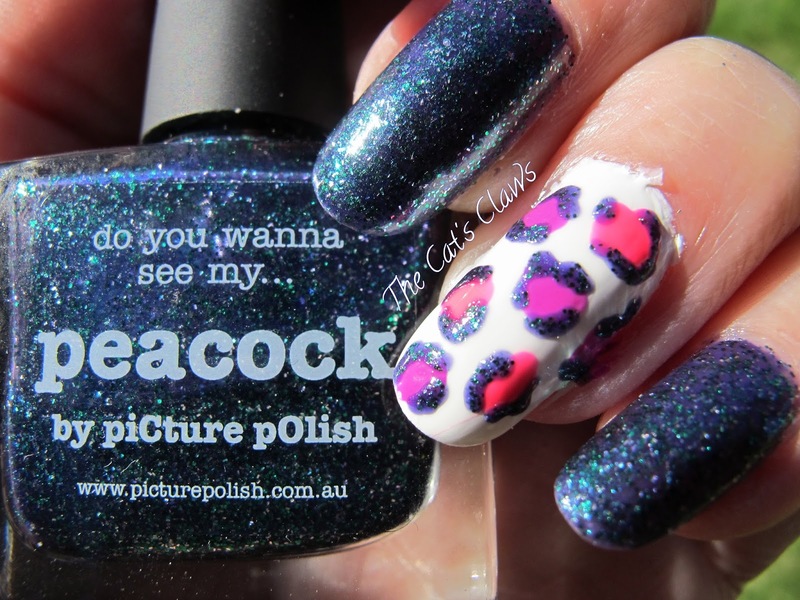 Girly Bits Emerald City Lights is a sheer green base with a blue shimmer in it, and looks spectacular layered over black. On to my mani then, one coat of Covergirl Black Diamond, one coat of Girly Bits Emerald City Lights and one coat of Seche Vite! If you would like your own Girly Bits nail polish then visit Femme Fatale Cosmetics besides the excellent service you will receive from Sophie you can also satisfy your lemmings for many other Indie polishes along with her own line of polishes which are just gorgeous (of which I have a fair few myself). On to my mani then, first I taped the bottom half of my nails off and did two coats of OPI Eurso Euro and then removed the tape. 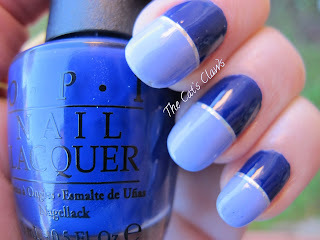 Next I very carefully brushed OPI You're Such A Budapest down the bottom half of my nail. 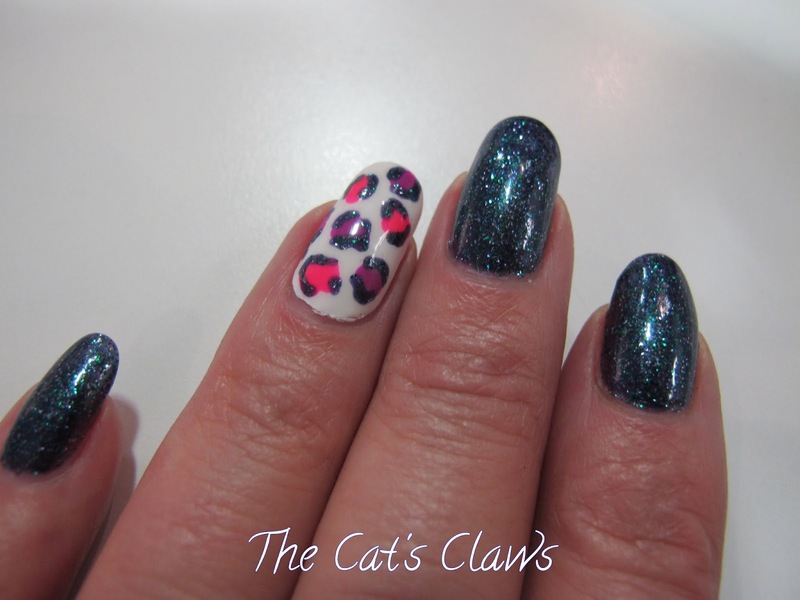 When both coats were dry I positioned silver stripping tape over the join and then completed my mani with a top coat of Seche Vite. 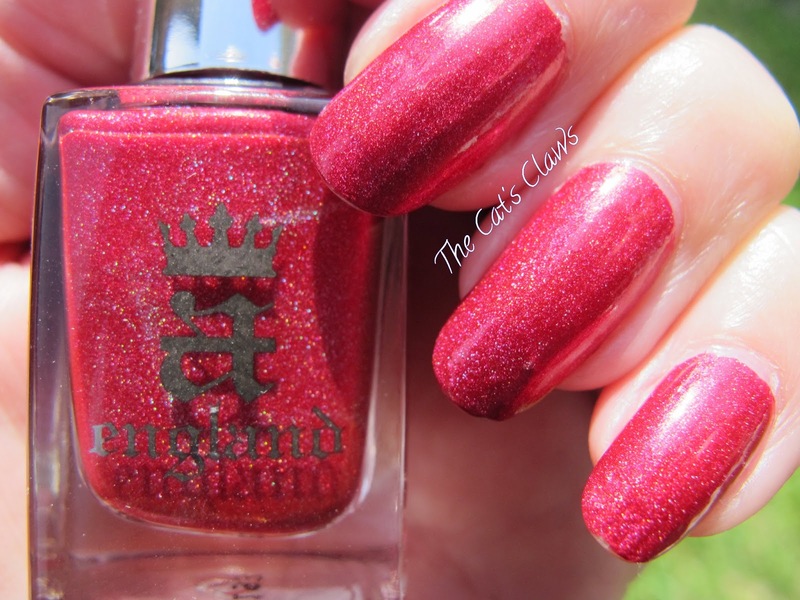 After I had finished it suddenly struck me that my nails looked similar to faberge eggs! This picture was the very last Instagram update of Talia Joy Castellano featuring a mint manicure adorning the hands of Talia, her mother, and her dear friend Tammy. On one of the nail community boards I belong to Nail Polish Wars suggested that Friday should be Mint Manis for Talia Joy, and I am more than happy to add my contribution to show my love and support to brave Talia Joy and her family. 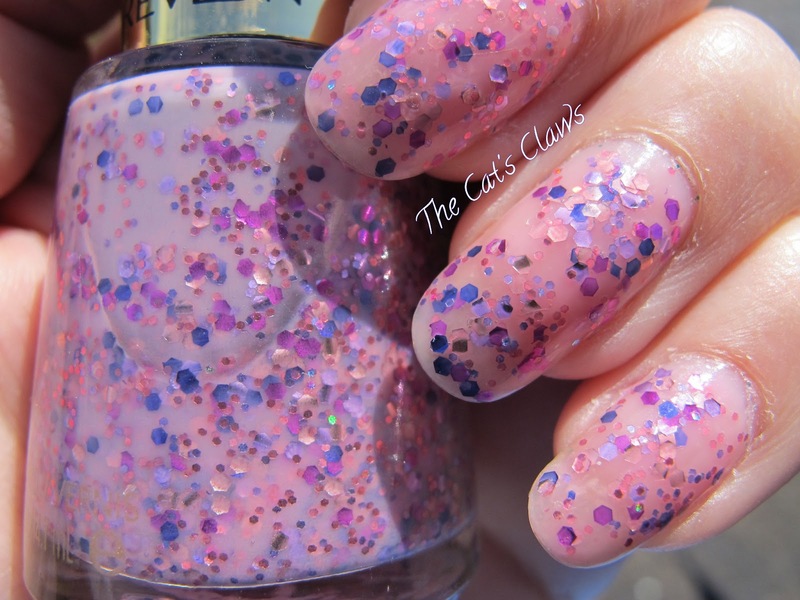 - one coat of Nubar Dewdrop, a very delicate and beautiful holographic tiny glitter in a clear base to try and capture the essence of Talia Joy who has now sadly lost her battle with cancer. Check out the other blog links below for their show of support for Talia and her family! There is also a hashtag circulating for this, which is #MintManisFarTaliaJoy, so be sure to check out the other social media sites too! For anyone posting anything about Talia, her family have asked that we use the hashtag #TaliasLegacy as well. 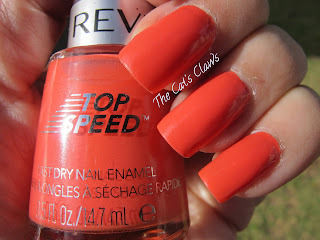 This is a mani from last summer that I have not shown yet, I bought Revlon Mock Snob along with a fair few others from either brandsExclusive or Buy Invite I can't remember which, when they were having a sale of of Revlon Cosmetics and the nail polishes were roughly half price (the normal price being around the $13 mark in Direct Chemist Warehouse). My daughter egged me to get Revlon Mock Snob purely for the name! 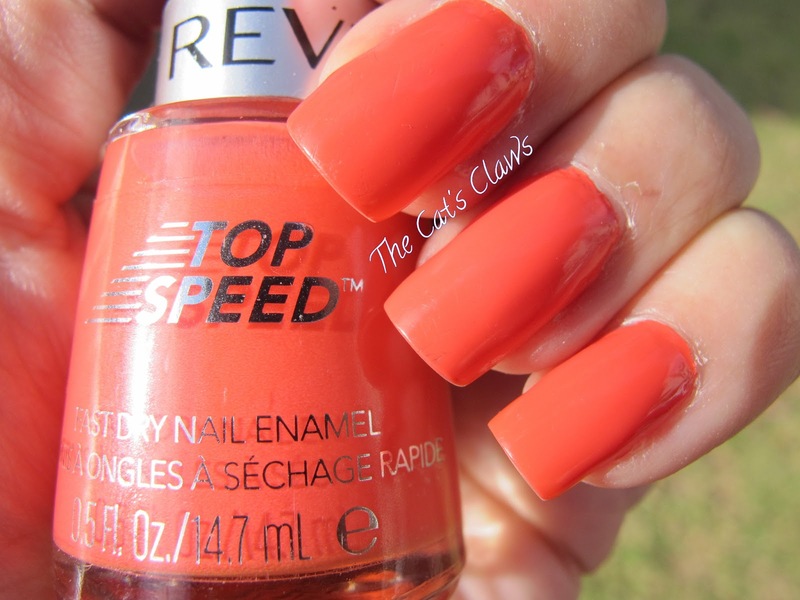 And I am glad I did, it's a beautiful neon orange and perfect for summer, which can't come soon enough in my opinion. On to my mani then, two coats of Revlon Mock Snob followed by one coat of Seche Vite. 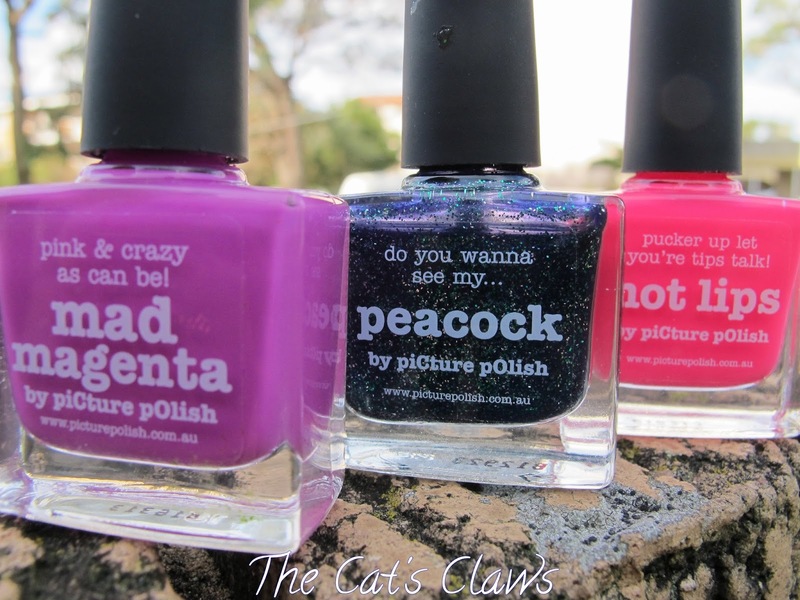 What colours are you waiting to wear for summer? There was a brief spell of sunshine in the week of rain we've just recently had, when I was able to quickly take these pictures. 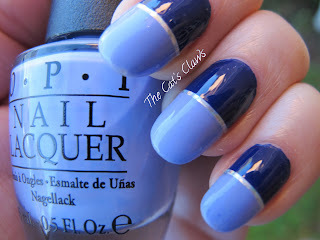 And I'm glad to be able to show you my favourites from OPI's Euro Centrale Collection. 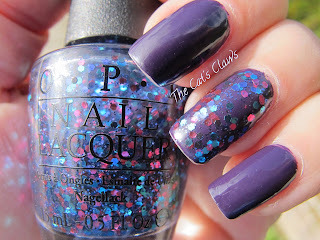 OPI Polka.Com is a pink, purple and turquoise super sparkly hex glitter in a clear base, the perfect topper for most of the other colours in the Euro Centrale Collection. These photos were taken on day five of my mani, so consequently there is the slightest bit of tip wear. On to my mani then, two coats of OPI Vant To Bite My Neck? A beautiful purple creme which actually has a tinge more red in it than is showing in my photos (I blame the photographer myself). With one coat of OPI Polka.Com on my ring finger and thumb, and then one coat of the obligatory Seche Vite. 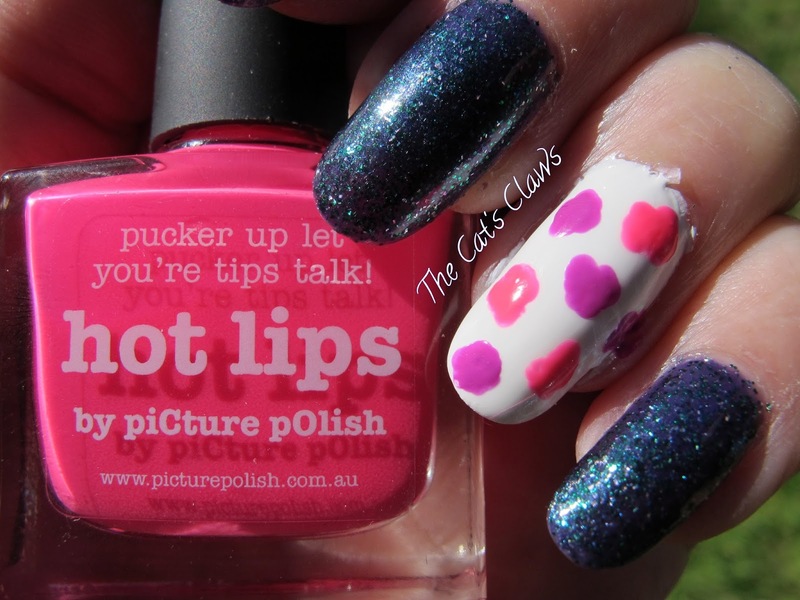 Labels: OPI, Polka.Com, Vant To Bite My Neck? 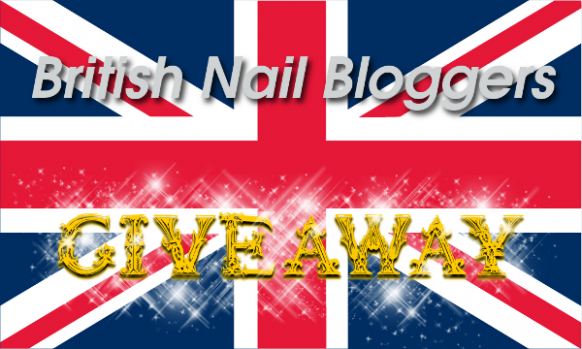 The massive British Nail Bloggers Giveaway finished last Friday. It ran for three weeks and attracted 65,815 entries. What an amazing competition to be a part of! 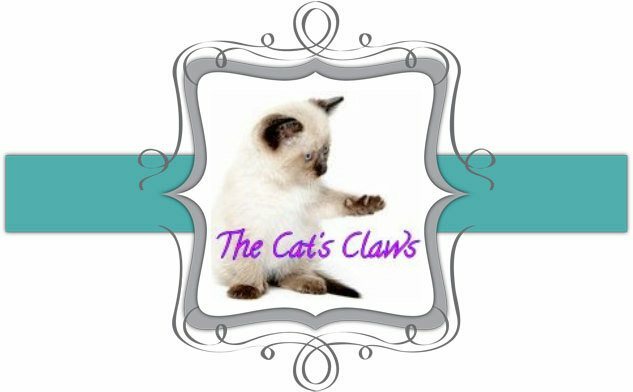 As it has now come to an end, those of us who sponsored it are pleased to be able to announce the winners of the $100 gift certificate and the three $50 gift certificates – all of which can be used at any online nail polish e-tailer of the winner’s choice. Congratulations to the winners. To claim your prize, please email crumpet@the-crumpet.com, before the end of Wednesday 3rd July. Happy spending! A massive Thank You to everyone for entering – if you followed me, I hope you enjoy reading my blog.